Thank you for visiting the homepage of Daigo Ishii + Future-scape Architects. Click the index in order to go to each page. A video work "World Tokyo-lization Project" was exhibited in Venice Biennale 2016. In the international exhibition "Time Space Existence, Made in Europe" held in Palazzo Mora, its installation was displayed. International on-line sites on architecture, "Archipanic" and "designboom", introduced this art work by an op-ed article and, in "designboom", the article on "Worldwide Tokyo-lization Project" was ranked as top in the number of browsing as well as in the number of “I Like” among 70 articles of Venice Biennale 2016. News programs "Abema Prime" in Abeam TV belonging to TV Asashi network and "News for Everyone" aired on Fuji TV Network broadcasted this artwork and I talked about it in the program. Please go to the URL below to watch the videos. The exhibition in Palazzo Mora is published in the catalog “Time Space Existence, Made in Europe, La Biennale di Venezia 2016 (Global Artfair Foundation, Netherlands)". "Renovation in Ichikawa" was published on "Shinkenchiku Jutaku Tokusyu, Februaly of 2015 (Japan Architects, Japan)" and "Designers File2014 (Works Cooperation, Japan)". "House of Toilet" which was completed in Ibukijima Island (Kagawa, Japan) as one of the artworks of Art Setouchi Triennale was published on "Shinkenchiku, September of 2013 (Japan Architects, Japan)", "architectur technik (Switzerland)", "Modulor (Switzerland)" and "Edition 29 Archtiecture Note 003 (USA)", and it was introduced in "designboom" and "Architizer" by an op-ed article. It received "Architizer A+ Awards" and "AACA Award". House of Toilet stays as a permanent architecture after the closing of Art Setouchi Triennale. As for the process of the construction and Ibukijima Island, the blog introduces with photos. Visit there,too. "House in Nagaoka" was published on "Shinkenchiku Jutaku Tokusyu, Februaly of 2013 (Japan Architects, Japan)", "Designers File2014 (Works Cooperation, Japan)", "Global Architecture Today (Tenshin University Press, China)" and "M2 Interior Design 4 (Sandu Publishing, China)", "2012 Comfortable House (RIhan, China)". 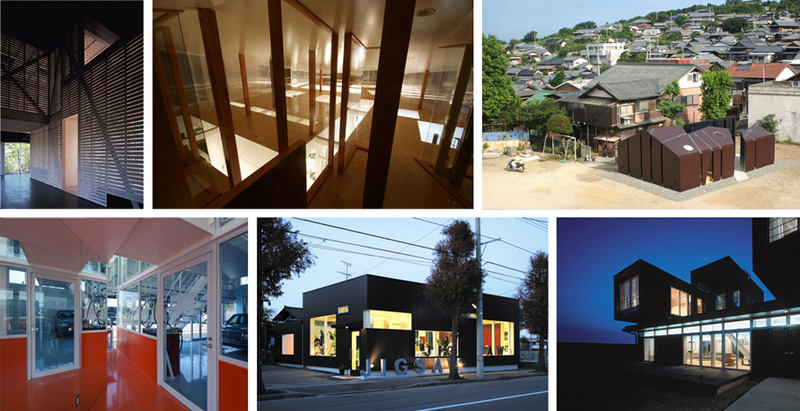 It received "Hokuriku Architecture Award", "Environmental Design Award of Residence", "Sustainable Residence Award", "JIA Environmenal Architecture Award" and "Clever House Selection Award".